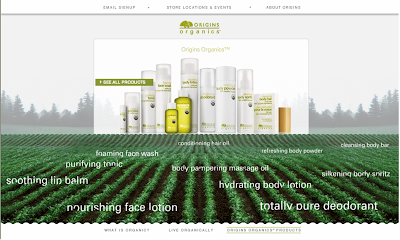 If you want to give your skin a treat, try something from Origins recently released line of certified organic products. 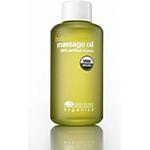 May I suggest the Body Pampering Massage Oil, it is a luxurious way to give your limbs a daily dose of moisture and indulge your senses with the custom blend of essential oils. The Body Pampering Massage Oil will appeal to environmentally aware consumers and beauty junkies alike, all it took was one trial and I'm hooked! Confused about how a beauty product can be organic or just want to freshen up on the green lingo? Head over to the Origins Organic website to check out a glossary of terms along with useful information about going green. While poking around, I found this quick quiz that had some surprising results- give it a try.